Exceptional steel string as an alternative for concert, fingerstyle and folk guitars. 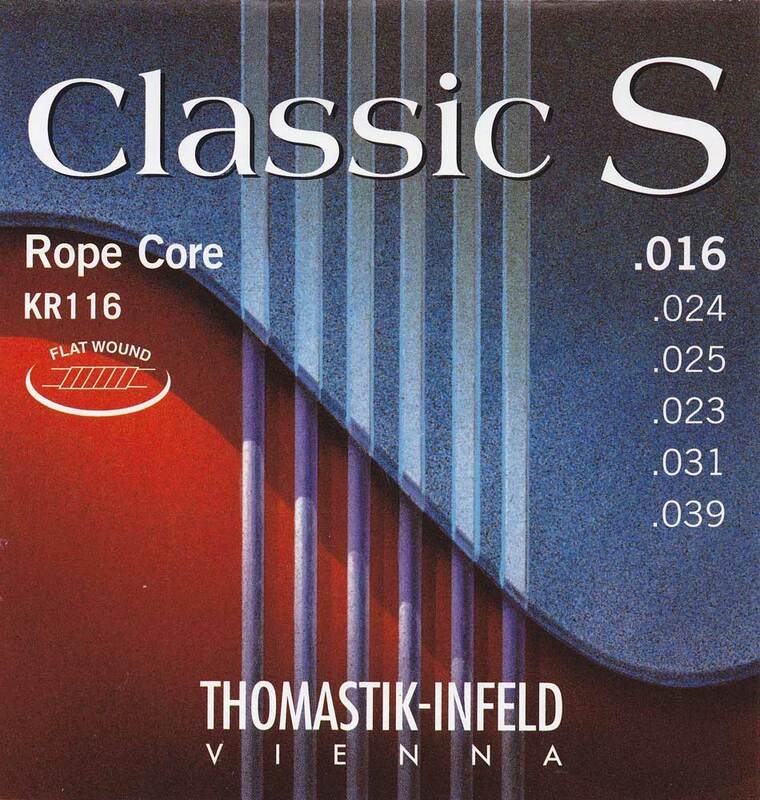 CLASSIC S ROPE CORE aresoft steel strings with extra long sustain. A unique design employing a highly flexible rope core of weaved steel wires delivers a high playing comfort.The treble strings are nylon tape wound, the basses are silverplated copper flat wound.